This adapter is used on some ATI cards to output Composite Video on the RCA Jack. Adapter used on many Compaq computers that bundled the ATI board. 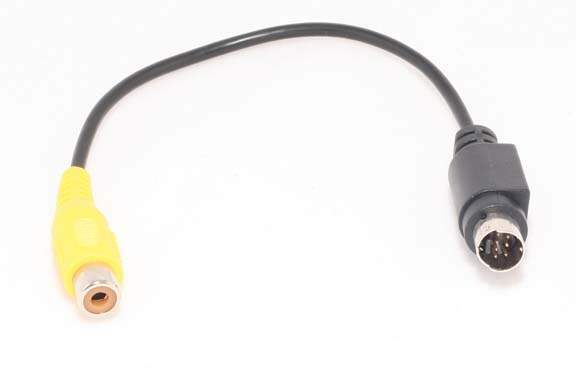 This cable converts the 7-pin Mini Din Video connector to a standard composite video (RCA) connector. If you want to display the video output on your television and it does not have a RCA input, use this cable to adapt the output to your television.